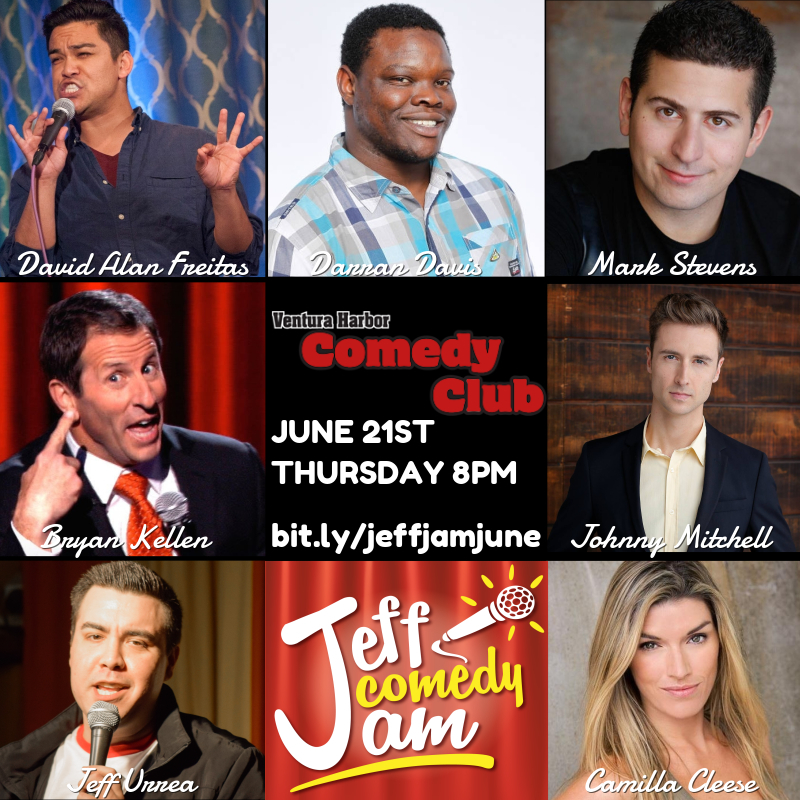 Ventura Harbor Comedy Club :: The Jeff Comedy Jam! Thursday, June 21st, 8PM in the Main Room of the Ventura Harbor Comedy Club. Featuring an All-Star showcase of national touring comedians and local talent. Headlined by Bryan Kellen, Semi-Finalist from NBC's Last Comic Standing. Plus performances by Jeff Urrea, Camilla Cleese, Johnny Mitchell, Darran Davis, Mark Stevens, David Freitas, Artie Lopez, and special surprise guest you won't want to miss. Doors open at 7PM, Show starts at 8PM, and ends at 10PM. There is a 2 item minimum for all shows at the club. Must be 18+ to enter, Mature Audiences Only.